Transform Aged Physiocare was established in Victoria in 2005 to provide a mobile physiotherapy service for our ageing population. Now with a team of over 150 employees across Victoria and Tasmania, we offer physiotherapy services for residential and community care. We began offering mobile physiotherapy services in Tasmania a few years ago, starting with one site and one physiotherapist. We have grown our team since 2012 by sourcing physiotherapists from around the globe. We currently have a team with diverse backgrounds from over eight countries including Ireland, Zimbabwe, India, Egypt, Pakistan, and Iran. Our team span La Trobe in Victoria and across the Tasman Sea to Hobart, Launceston, Port Sorell and Burnie in Tasmania. 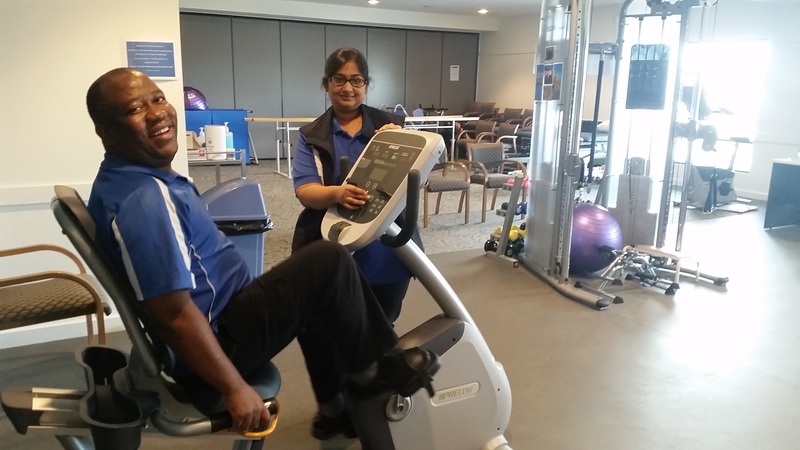 Our mobile service provides physiotherapy to 14 aged care facilities, a day therapy centre and clients within our community. While most of our clients are elderly, we are available to for all patients in our community. Improving mobility, function and quality of life for all our clients is a passion shared by our team and it is important to have ongoing service delivery. Whilst we maintain a high quality service for our community, it is difficult to find dedicated physiotherapists to work on a permanent basis. An even greater challenge is finding locums to cover our permanent physiotherapists when they go on leave! This is particularly challenging in the North-West of Tasmania. With a culturally diverse team from all over the world, there are specific study requirements that our international physiotherapists must comply with before they can be granted full registration in Australia. This means that they must take study leave to complete four exams over a period of time which are often conducted interstate. At other times, our physiotherapists will request leave to return home to visit family and friends or take annual leave for holidays and rest. For these reasons, we are often faced with the challenge of finding a locum. We have used multiple locum agencies in attempt to source permanent staff and locum physiotherapists with very little success and high fees and charges. We were referred to the Australian Government-funded Rural Locum Assistance Program (Rural LAP) in October 2013 and after a straight-forward online registration process, a locum was provided for the dates we requested. Since 2013, Rural LAP has filled 79 placements and we have a great working relationship with the locum program. The team are always prompt to reply and keep us up-to-date during the whole process - from applications being received, notifying the applicant, travel arrangements and placement follow-up. All the support is covered. We are only responsible for paying locum wages, superannuation and relevant taxes. The team make staff leave requests seem less daunting. I can approve my teams’ leave knowing that we will still maintain a high quality of service to our clients. When a locum arrives to cover a team member for the first time, we ensure they have a good handover with one of our current team members. We inform them of Transform’s culture and values, introduce them to the site, the team and the residents they will be working with. Once the locum is familiar with our company and has worked with us a few times, the transition is much simpler. The locums we’ve had, including John Kleinig, have often been invited to our social functions and PD events and welcomed as part of our team. We really value and appreciate the opportunity to access this program so our team are encouraged to make them feel welcome and ensure they have access to all the necessary support. Having locum coverage has ensured that we can continue to provide a consistent service to the aged care facilities and our community, especially in North-West Tasmania. We have a smaller team so if someone went on leave without locum cover, the residents wouldn’t receive physiotherapy for a couple of weeks! It also ensures our team are happy and engaged in their work. They can take leave when they need to knowing that it won’t put extra pressure on their team members. They feel more comfortable about taking leave with the knowledge that their clients will still be receiving the service and care they require. In turn, if our team are happy and well-rested, they provide the best care possible. Travelling to out of the way places is fun!